I’m happy to be a part of the upcoming Polymer Clay Adventure and you can be too! 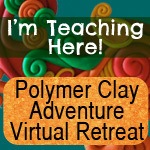 I’m one of many instructors preparing great new polymer clay projects with video and printable tutorials. I’m having a lot of fun making several styles of ball joint dolls in different scales and using Kato Polyclay. Aurora Rose came first at 13 inches tall, and Lula Belle is a bit over 7 inches tall. Those are her hands and feet there at the left–yes, I give tiny manicures! I have three other dolls underway as part of filming the step-by-step progress, and I’m ALMOST done typing it all up. Taking lots of pictures means I can show the progress on each doll in a slideshow, plus have one on video. 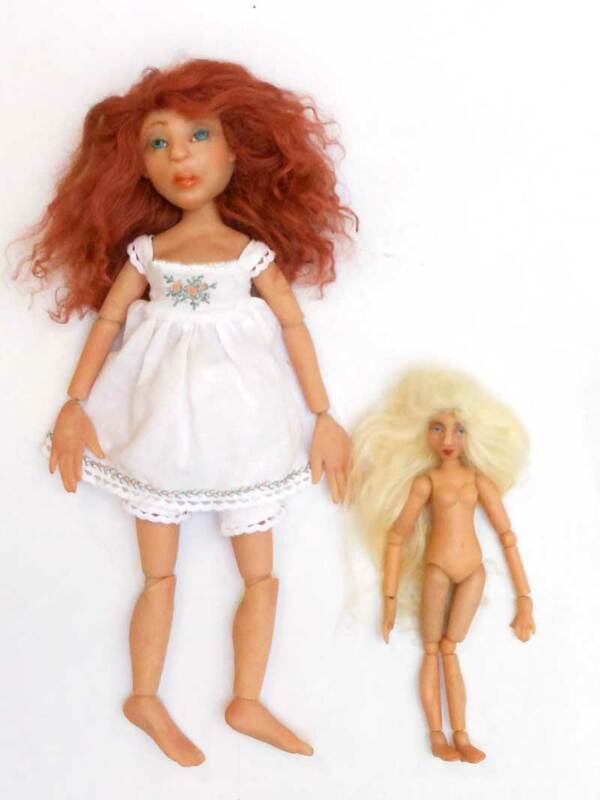 I love getting back to making dolls and to new instructional projects like this one and upcoming books, like “Inside the Box” that will tell how to make furnishings and accessories for the dolls, using cardboard boxes, polymer clay, paint, and other simple supplies and tools. I started that one last year but got sidetracked with the details of running a Downtown Gallery. Now that we’ve been open one year (yea!!!) I’m going to take more time with publishing and polymer clay again. 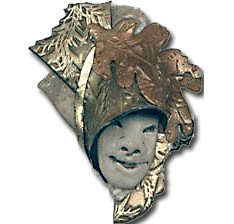 There’s lots do to in the upcoming new year with dolls, miniatures, metal and mosaics, and books! Click here to visit Polymer Clay Adventure. 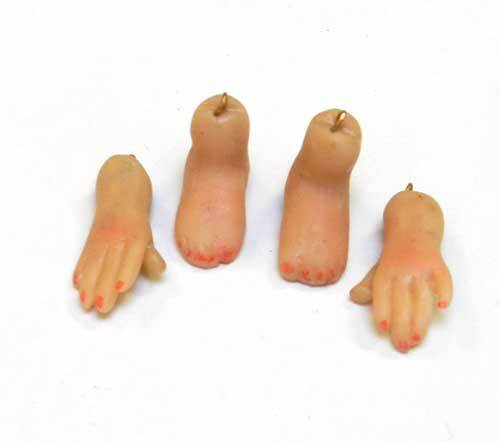 Sign up to join us and make your OWN ball joint dolls next year along with me!